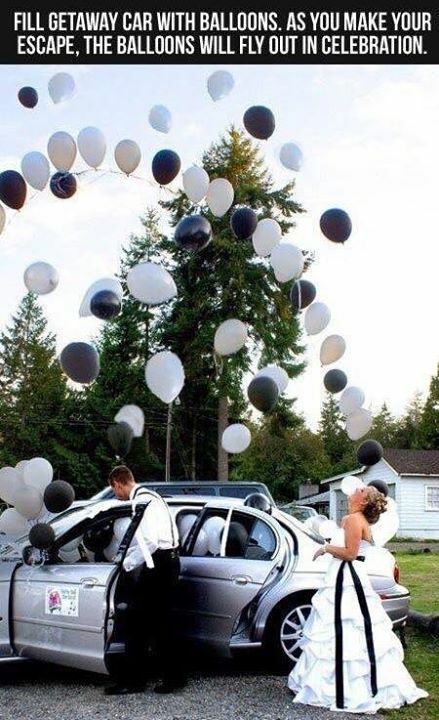 FILL GETAWAY CAR WITH BALLOONS. AS YOU MAKE YOUR ESCAPE, THE - ProudMummy.com the Web's Community for Mums. FILL GETAWAY CAR WITH BALLOONS. AS YOU MAKE YOUR ESCAPE, THE BALLOONS WILL FLY OUT IN CELEBRATION.